Welcome back part two of our Ripple Effect interview with Shannon O’Donnell, a travel blogger, speaker, and author of The Volunteer Traveler’s Handbook. She regularly volunteers and in 2011 launched her passion project, a community sourced database of local, sustainable organizations all over the world. She is the founder of the website ALittleAdrift.com and tweets at @ShannonRTW. Your support means so much to us. In the coming weeks and months, we’ll post updates on our journey. 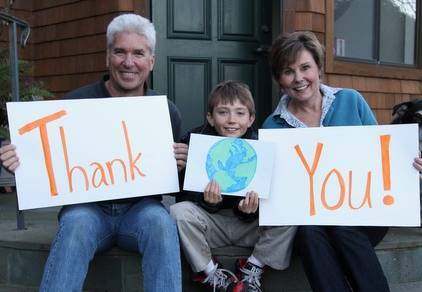 Thanks for believing, as we do, in the power of global kindness. © 2011-2016, All Rights Reserved. Journeys for Good™ and the Journeys for Good™ logo are trademarks registered in the US Patent and Trademark Office.